I’m from a small town called Ledbury in Herefordshire. My group and I feel like there is a generational divide in the community. As young people, I don’t feel like we’re taken seriously, particularly by some of the older members of the community. 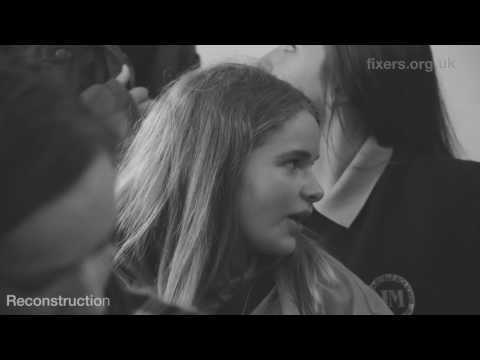 With Fixers, we have created a short film which will hopefully change some of the negative stereotypes that we’ve been labelled with. I want people to understand that our views matter and just because we’re young, it doesn’t mean we don’t know anything. I would like to thank Emily Watson, Luisa Brnova, Rebecca Carney and Adam Cheshire for helping me with this Fix.